Been diving in Bull Shark Point? Please Vote! There’s an excitement that buzzes through Playa del Carmen every year, in early November, surrounding the arrival of the region’s seasonal population of Bull Sharks. This high anticipation develops into adrenaline for divers as soon as they drop into the waters over Shark Point, just offshore the beach. 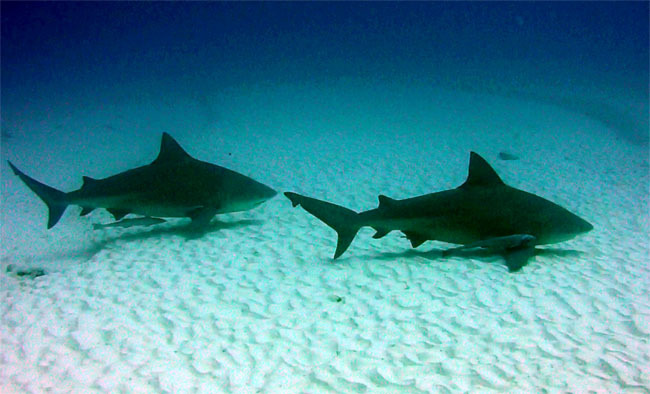 Divers free-descend down onto a sandy bottom at 25m where they settle and are often immediately greeted by the curious bull sharks, circling in to investigate the bubbling noise. They come in close, making eye contact and then veering away, only to return moments later circling again. The longer you sit, usually the more sharks begin to appear. 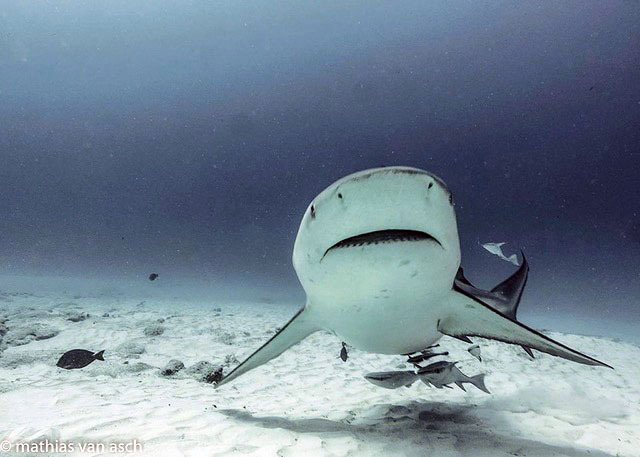 The sharks that come to Playa are attracted to the chutes of fresh water exiting into the ocean from the underground rivers that are strewn throughout the Yucatan Peninsula. 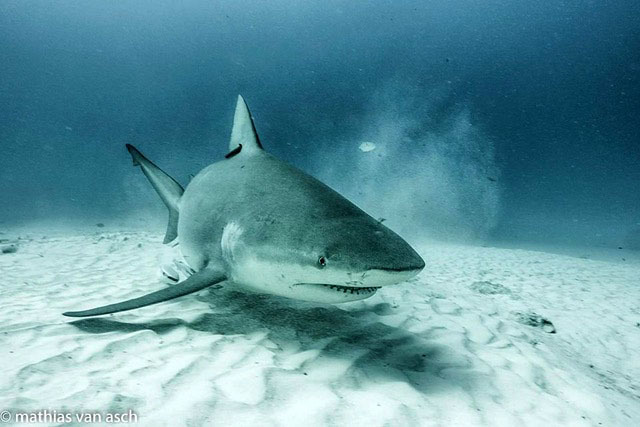 Many of the Bull Sharks are pregnant and nearing the end of their 10-to-11 month gestation period, so the already fat species reach an impressive girth during this period. Despite their aggressive reputation, they can’t be described as anything more than curious when viewed at this level. Any nerves the divers may have pre-dive are often quickly diminished as soon as they witness the grace and beauty of these animals in their natural environment; it is a dive in which it is truly a privilege to participate. Approximately 1km from the shore of Playa Del Carmen, Bull Shark Point in a must-see dive site between November-March, descending 25m to a sandy bottom with a small boulder protruding from the depths. Choosing to do the first dive of the day an “observations dive only” (no feeding), the local dive shop catering to my need of wanting to protect and preserve the natural balance. After settling into our spot on top of the boulder and remembering our guides very specific instructions on body movements, we were lucky enough to see 5 more Bull Sharks pass by and in moments all 5 at once. Grinning from ear to ear and a little water leaking in my mask from smiling so big, I could only feel blessed to be in the presence of these magnificent creatures. Map of Playa Del Carmen, Bull Shark Point dive site.